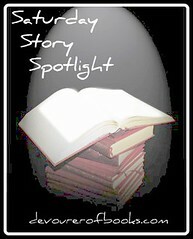 Welcome to Saturday Story Spotlight, my feature where I discuss books my husband and I are reading with our son, Daniel. These are books that he, we, or all of us particularly enjoy. I have to admit, I was totally biased against this book, mostly on the basis of the illustrations. I really, really hate them. They are just so dated looking, I can’t handle them. I’m sure they looked great in 1993, but in 2o11 they make me crazy. Daniel, however, loves this book and has for months and months, so I have learned to over look what I think are ugly illustrations to the numerous virtues of Good Night, Baby. First and foremost, is the quotidian routine of the whole thing. There is much for toddlers to recognize, to compare their own bedtime routines to that of ‘baby’. Everything is familiar, and yet slightly different from Daniel’s own routine, it is a book with many things he can already identify, which is comforting, while still providing new things for him to question and ask about. That’s why Daniel likes the book. Here’s why I like it. First of all, Baby is relatively gender-neutral, as is everything in Baby’s room. There is perhaps a slight hint towards things being blue, but a very light blue, nothing so much that Baby couldn’t be a little girl. Patrick was very studied in not having any gendered pronouns relating to Baby. Secondly, both Mommy and Daddy share pretty equally in Baby’s bedtime routine. I love seeing both parents equally involved, without a big deal being made about it. So, despite the illustrations needing some serious updating, Good Night, Baby is really quite a good bedtime book. It does look like an old book. I was even thinking it looked more like the books my parents read to me. I find it interesting, though, that Daniel loves it so much! I like both parents being involved too. I’m glad Daniel likes this story. It’s funny how something we hate might be loved by our kids. They see things differently. I like the way both parents are involved in this bedtime story. I love your book recommendations! I sometimes feel guilty when I bring more books home, but never if they are for my son Just from the cover I hate the illustrations, but it’s sweet that Daniel loves it.